Nothing could be scarier than that little battery icon in our smart hits the red. All our focus shifts towards searching the nearest charging outlet – and it happens all too often. Yes, the short battery life is the worst thing about our smartphones. It forces us to always carry chargers and battery banks, as well as continually chase plugs walls. But don't worry; Apple is looking to fix this problem soon. The technology giant is working on batteries that could Power its MacBooks and iPhones for 7 Days, according to a new patent filed by Apple. Apple has filed a new patent for a 'fuel cell system' that would replace the existing toxic batteries resided in its Macbooks with cells that could last "for days or even weeks without refuelling". 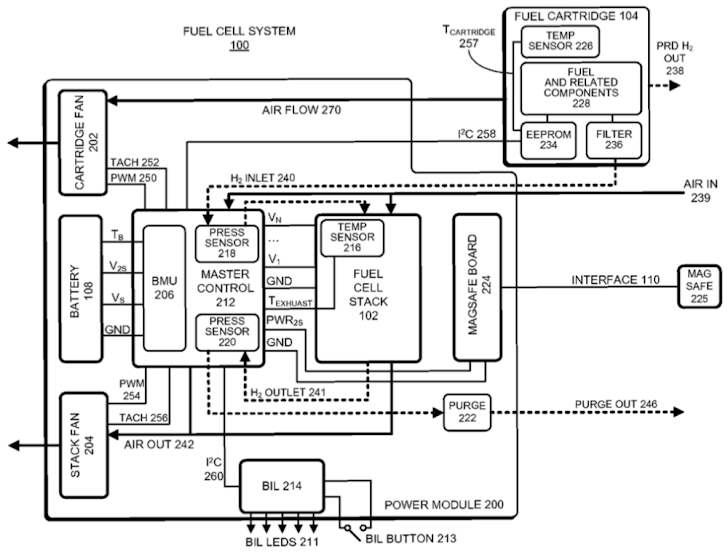 Diagrams associated with the newly discovered patent application, published by the US Patent and Trademark Office, reveals that the fuel cell technology is aimed at MacBooks rather than iPhones. As the diagram repeatedly mentions the 'MagSafe' connector that is used on Apple's laptops and does not name the 'Lightning' connectors used on the iPhones and iPads. 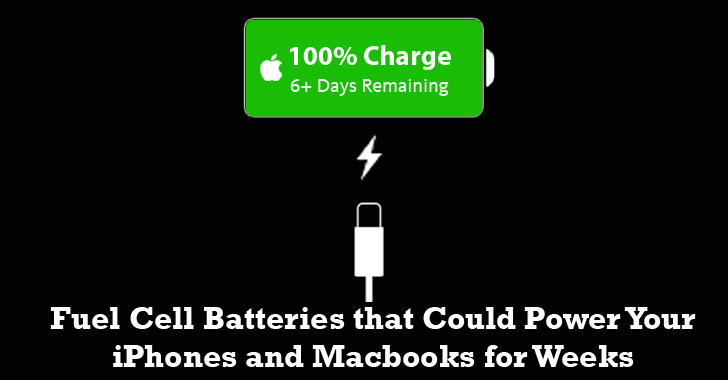 However, Apple says that 'mobile phones' might also use such batteries. Since, the fuel cell concept is practicable. As UK newspaper The Telegraph recently revealed a great success by British firm Intelligent Energy in deploying a hydrogen fuel cell in iPhone 6 prototype announced this month. The company is reportedly working closely with Apple and claims that its team has successfully developed a hydrogen fuel cell that could power the devices for a week without recharging. However, until now it is not clear whether the technology developed by Intelligent Energy is the same as the one contained in the recent patent application filed by Apple.